ZURICH, SWITZERLAND - 07/12/2018 — The team behind the Swiss open access publisher ScienceMatters announced today they are developing a pioneering blockchain-based peer to peer scientific data publishing peer review and rating platform, which is expected to have a far reaching impact within the $25 billion scientific publishing industry. This would be the world’s first blockchain based scientific publishing, rating and funding platform that aims to revamp the science publishing sector. To raise funds to develop the platform, the team is gearing up to launch the EUREKA (EKA) token ICO, an Ethereum based token which will be integral to the enhancement of the existing publishing platform www.sciencematters.io with blockchain technology. The public token sale will take place in September 2018 and will last for 60 days, or until the hard cap of $14,930,352 is reached, chosen as it is a number in the Fibonacci sequence. 12 July 2018, Zurich, Switzerland – The EUREKA peer-to-peer scientific data publishing platform will be the first to publish peer reviewed articles enhanced with a blockchain based ratings and review system, called ‘EUREKA’. ScienceMatters started publishing articles in February 2016, and since then has conducted peer reviews and published research from Harvard University, the University of Oxford, the University of Zurich, as well as many other institutions. The founder of EUREKA and of ScienceMatters, Dr Lawrence Rajendran is a professor of neuroscience at the University of Zurich and at the King’s College London and is known in academic circles for his pioneering research into Alzheimer’s disease. His inspiration for EUREKA and ScienceMatters came about because of his frustration with the limitations of the existing scientific publishing system. The Chair of the scientific advisory board of ScienceMatters is Dr. Thomas Südhof, a professor at Stanford University who was awarded the 2013 Nobel Prize in Physiology or Medicine, and he features in a recent video clip supporting the project. Currently, there is a winner-takes-all mentality where the first researcher to publish a finding beats other researchers to the publishing finish line. The main scientific journals only publish novel work, so the other researchers who have conducted studies that confirm or cast doubt over results published elsewhere may never themselves get published. This leads to uncertainty as to whether published research can be replicated. The advantages of using blockchain technology within the scientific research process are numerous. First, data recorded on a blockchain is immutable and cannot be tampered with. Secondly, it is decentralised and open, meaning it can be verified by anyone. Using smart contracts, we can automate the transfer of ratings and rewards in a fast and fair manner. According to a survey of 1500 scientists conducted by the science journal Nature, more than 70% have been unable to reproduce another scientist’s experiments. Even more worryingly, over 50% of those surveyed were unable to reproduce their own experiments. As a result, much time and billions of dollars are wasted pursuing drug candidates which have already been found in unpublished research not to be effective. This is what is known as the ‘reproducibility’ crisis, and it is estimated that in the US alone, $28 billion is wasted each year by pharmaceutical companies researching drugs which are shown in trials to be ineffective or which have negative side effects. EUREKA will enable companies to access replication studies, and where these are insufficient or non-existent, firms can incentivise and reward researchers on the EUREKA platform with EUREKA tokens for conducting replication studies around the world, thus speeding up the process and saving research costs. EUREKA tokens will be used to reward reviewers to conduct peer reviews, to reward reproducibility studies, reward studies which give negative as well as positive results and also enable funding of hypothesis and scientific proposals. The tokens will also grant voting rights to the holders, allowing them to influence decisions put to a vote, and also to rate by upvoting and downvoting on scientific studies. Currently, most peer reviews are carried out for free by academics who have the luxury of being able to donate their time to journals. This leads to very long wait times, and it severely limits the number of articles that can be reviewed and published. 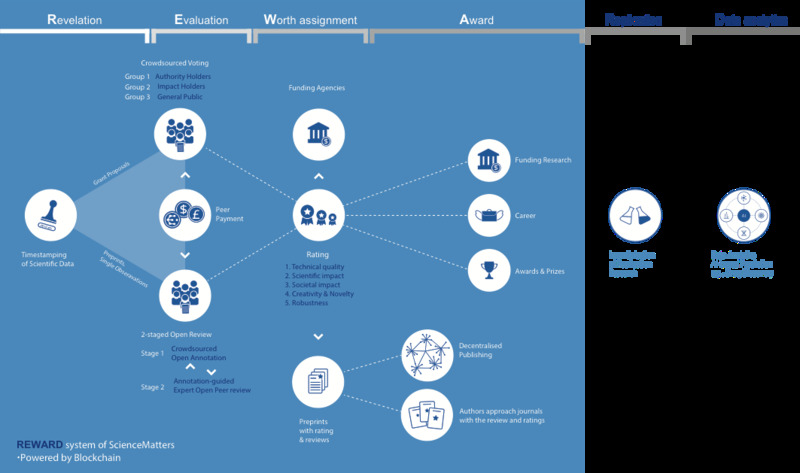 By incentivising reviewers with EUREKA tokens which will vary automatically depending on demand, this will accelerate the peer review process by making peer reviewing accessible to a larger pool of qualified academics. However, not only reviewers can be incentivised, token payments will also go to referenced authors. The token sale – Purchase methods: ETH / BTC. Total supply: 298,607,040. For Sale: 149,303,520 . Price: 1 EKA = $0.10 USD. Soft cap: $2,000,000. Hard cap: $14,930,352. Whitelisting and passing KYC / AML is required to buy EUREKA tokens. The team is headed by the CEO and founder of ScienceMatters Professor Lawrence Rajendran and the CTO is Professor Thomas Bocek, a lecturer of computer science at the Hochschule für Technik Rapperswil and also a researcher of blockchain technologies. The remaining members of the core team have several years’ experience working in publishing, research, application development and building start-ups. Compose your email to Andrew Cook at Sciencematters AG.